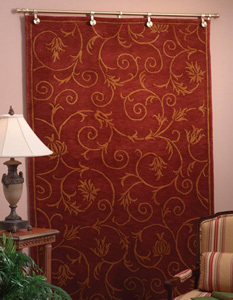 Let Home Design Carpet and Rugs help you define your walls and staircases with unique accents that provide the most perfect finishing touches. Our staircase rods and wall hangers are guaranteed to be of the upmost quality and are sure to compliment the carpets and tapestries in your home. 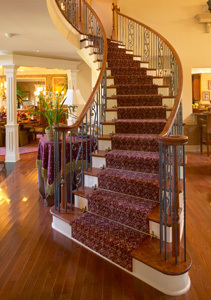 Staircase runners have continued to grow in popularity over the past 30 years. The old world charm and elegance of staircase runners and rods is timeless. Home Design Carpet and Rugs provides beautiful, custom staircase rods with style in mind. Visit us in store for more details.